There are currently 91,432 users on this website. TheDeductible ..Really? Man..I have never look through Canadian cent seriously. Just see this one yesterday from my canadian cent I been keeping it.. Die deterioration doubling. 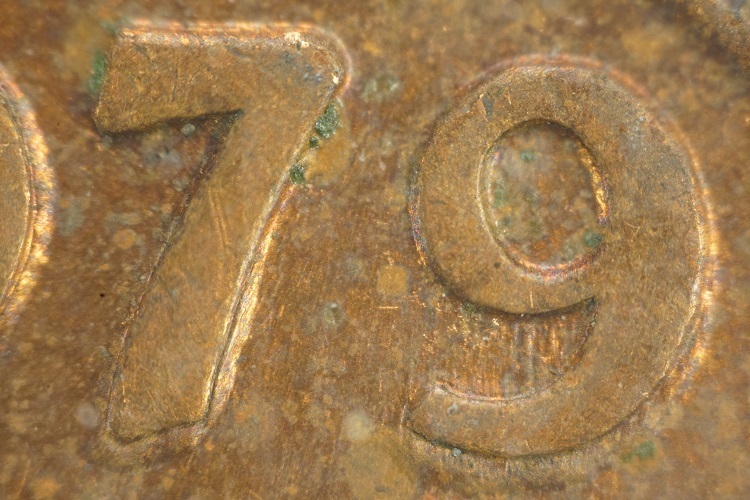 Very common on 1-cent coins from 1978 and 1979. Bate I want to share and image with you. 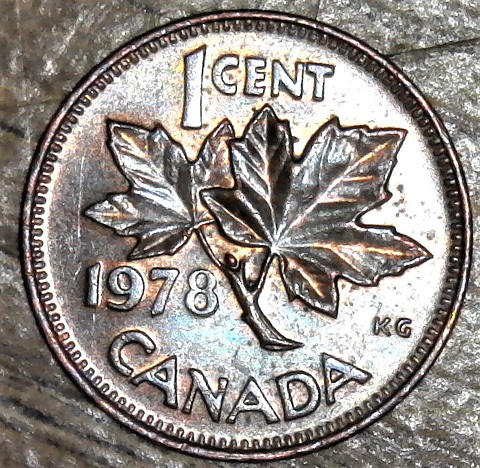 this 1979 canadian penny. it is triple struck on the reverse. double struck on the obverse. 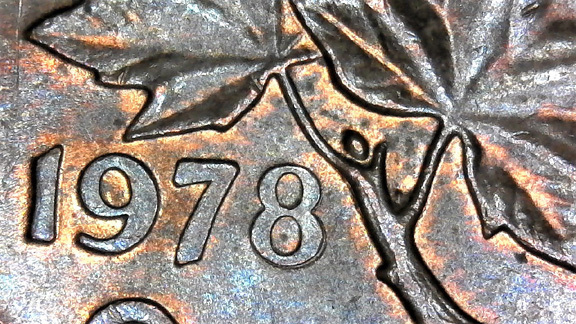 if you look at the strike on the 1979. you will see the raised metal on the outside of the struck digits. this coin was struck on an over annealed or cooked coin blank. see how the metal raised up around the digits. the annealing process was to hot. so you should try to raise the mag on your image. this might help you. to see if your metal is raised around your digits. meaning you would have a double struck reverse. plus a coin that has been struck on over heated coin blank. see the striking die pushed. the die right down deep into the metal here is my image hope this helps. Thanks Rocky. I do believe it raise but only the 8. It is not triple or double struck anything... that is die deterioration doubling from a single strike... or, as collectors in the US call it - die fatigue. spp- ottawa thank you so very much . I will study this again thank you . bate I am sorry please except my apolize. spp- ottawa thank you very much for these links. I have purchased those books as well. thank you so much.